A new plot detail from the upcoming installment in the James Bond franchise, Bond 25, has just been leaked. While the change in marital status seems a bit out of character for the cold and calculated 007, it happened once before in 1969’s On Her Majesty’s Secret Service in which James (played by George Lazenby) marries Contessa Teresa “Tracy” di Vicenzo (Diana Rigg). She is later killed on their wedding day after being shot. This possible plot detail is also in line with what we saw at the end of the last Bond film — 2015’s Spectre. In that film, we saw (spoiler alert!) the skilled agent refrain from finishing off his nemesis, Ernst Stavro Blofeld (played by Christoph Waltz), and walking off with his lady love; though, it has not been confirmed who the woman is who locks down James in Bond 25. But of course, history repeats itself and marital bliss doesn’t last long after James is forced to report for duty once again after his wife dies under mysterious circumstances. It was also reported back in July that Bond might be dealing with some unfinished business with Blofeld as Christoph Waltz was rumored to be returning to the role. 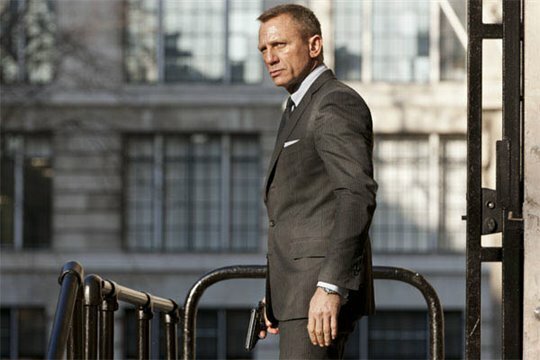 No one working on the new Bond film has confirmed any of this info, yet, but what is for certain is that you can catch Daniel Craig reprising his most famous role. I always look forward to the Bond films and this will be no different. I think Daniel Craig is the best Bond yet. Not big on Christoph Waltz though. I didn’t think he was very good in Spectre. In fact I think he plays the same character every time in his films….still I will go to see it.